Here we have this big bit of Bling! 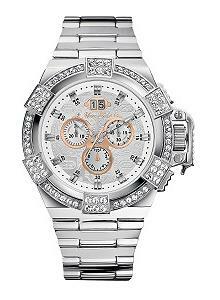 Fashion Love's big watches, Fashion love's Bling, so with this your getting the best of both worlds! it looks great on your arm, has the same casing style as a Seiko Velatura, and it goes down a storm. Wear this Marc Ecko bad boy out and your be the talk of the club. thank you for sharing ..!!!!!! !